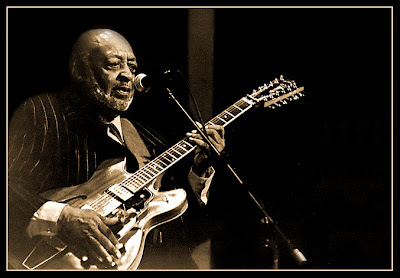 My brother George and I were at Cole's with a bunch of people and we got talking about the old bluesmen we used to see at the Lafayette Tap Room. There was Johnny "Clyde" Copeland. Once I went to see him twice in the same weekend. That is Johnny Copeland pictured above. His daughter Shemekia Copeland, or whatever her name is, is no substitute. Also there was Robert Jr. Lockwood. Once my friend Lizzie and I stayed at his house. Who else? 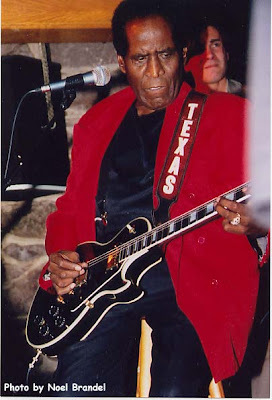 Clarence "Gatemouth" Brown. We used to see all these guys at the Lafayette Tap Room! George was saying and I was agreeing that it is wonderful there was that great blues craze so we got to know these people. The blues craze was driven by college students who listened to it and so the bars got all these old guys to come in and play. 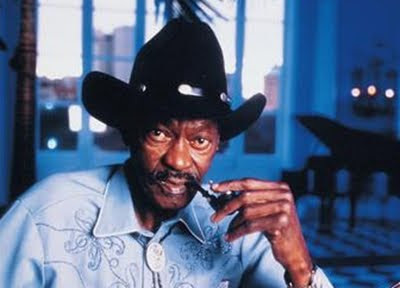 We are not sure what college kids listen to now but it is not "Gatemouth" Brown. 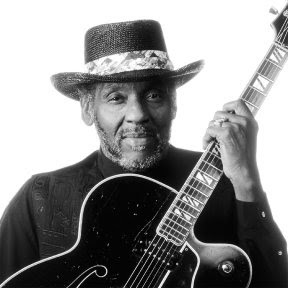 The most recent blues guy to pass on is Mel Brown. We used to go hear Mel Brown and the Homewreckers. I used to love how Robert Lockwood used to sing "See See Rider." When he was in Buffalo he used to play it for me when I requested it. A couple times I interviewed Mr. Lockwood for The Buffalo News but it was a disaster because Robert Lockwood was not like Leonard Pennario. I could not get him talking. Robert Lockwood let us stay in his house and use his shower and lock up after he left early to go perform. But he was not a talker. Ha, ha! You can tell by looking at him, you know?